It was not particularly scary but it was starting to get interesting. 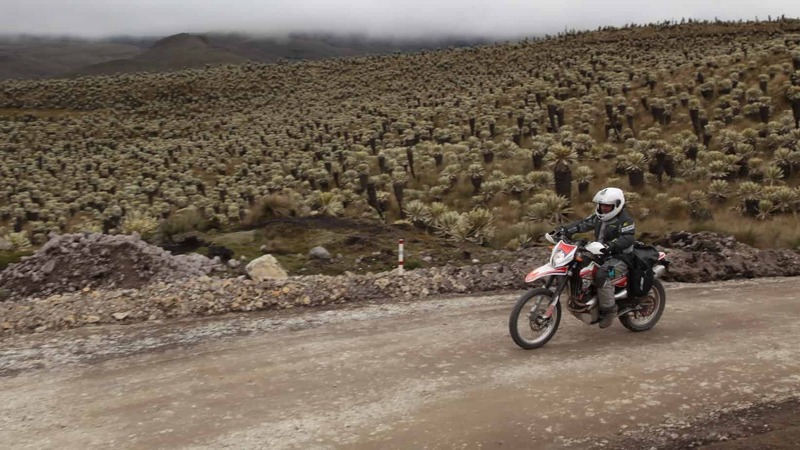 It was day five of our tour of the Ecuadorean Andes and the sun had long abandoned our ride. We rounded a turn, cut through a tiny mountain village, and Justin blurted out over the radio, “Well, we did want the expert rider experience.” No sooner had he said it, the fog thickened and the rain increased. None of this would have concerned me had we not had another 1,000 feet to gain, the high point of the road tickling the 14,000 foot mark. 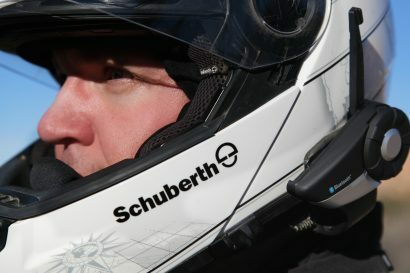 I watched as Justin’s rear wheel slipped back and forth in the mud, the inky black to the right only suggestive of the endless drop off it likely hid. The only thing I didn’t worry about was all of my gear. 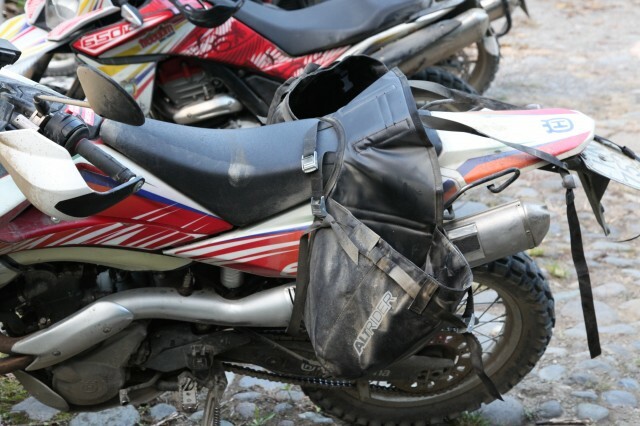 It was safely tucked away in Altrider’s new Hemisphere Saddlebag system. 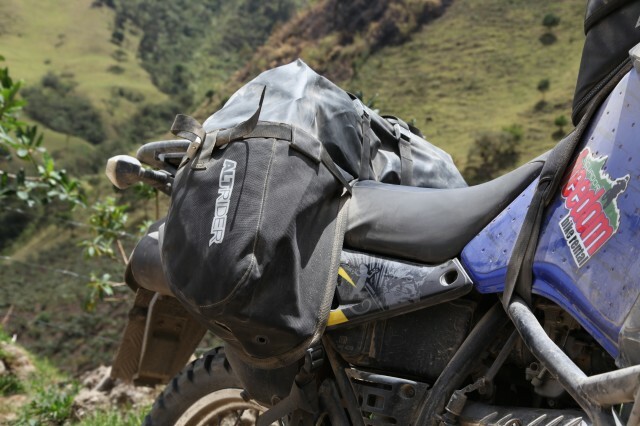 Released to the public just weeks ago, we were lucky enough to not just get to test two Hemisphere Saddlebag systems, we got to do it on the exotic backroads of Ecuador where severe dust coupled to heavy rain, would conspire to ruin our gear––to no avail. Unlike many other luggage systems, the Hemisphere uses a clever two-part system to make attaching and removing the bags quick and easy. They’re also waterproof, easy to load and unload, and by all accounts, seem supremely durable. 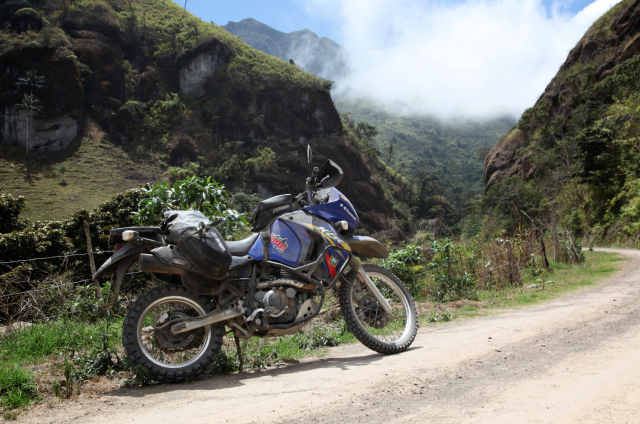 Heading towards the high peaks with Ecuador Freedom Bike Rentals, two of the four bikes in the group used the new Hemisphere Saddlebags. Both systems performed flawlessly. The foundation to the system is the unique holster system. Once attached, they need not be removed at any time and make for two convenient little buckets to receive the actual Hemisphere dry bag. Shaped to straddle the passenger seat, the heavy-duty roll-top Hemisphere bag swallows gear in mass volumes and once loaded, easily slips into position in the holster. Two buckles on either end of the dry bag pair to each holster to keep the roll top closed and the bag secured. 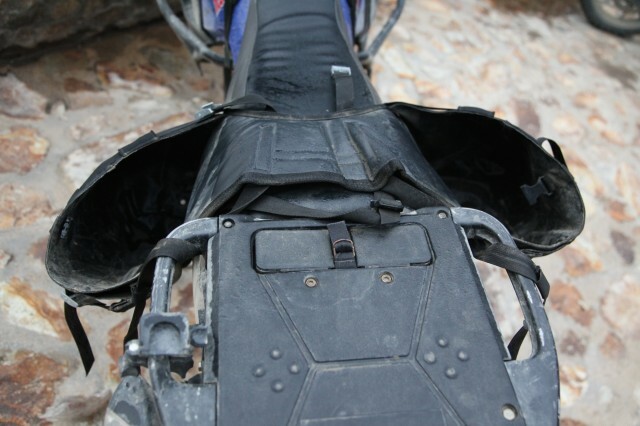 Two additional straps with metal cam-buckles over the central portion of the dry bag keep it firmly in place. The pleated “buckets” have additional straps to further secure the main dry bag and can accept additional bits of gear you may want to have more accessible or at least not mixed in with your gear. For our purposes, a messy bottle of oil fit into the outer bag pockets as to not dirty the rest of the gear. 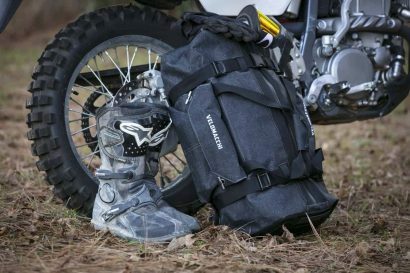 Made of robust materials with what can only be said is keen attention to detail, these are expedition grade bags made to endure the most demanding rides. As important to the construction is the thoughtfulness of the design. Accessing items in the main bag throughout the day was easy and struggle free. The bags themselves were cavernous and swallowed my gear making me feel like I was grossly under-packed. By trip’s end, not a single component appeared at all phased by our week long journey suggesting these bags will endure years of use. 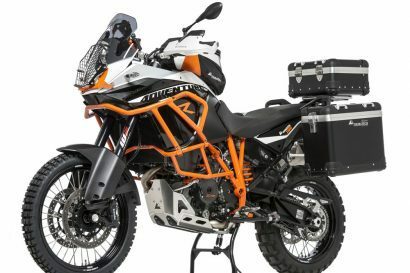 My favorite aspect of the design is the quick and easy means of detaching the bags from the bike. With the quick removal of two straps and two buckles, I could simply lift the Hemisphere bag off the bike and lug it into my hotel room over my shoulder. 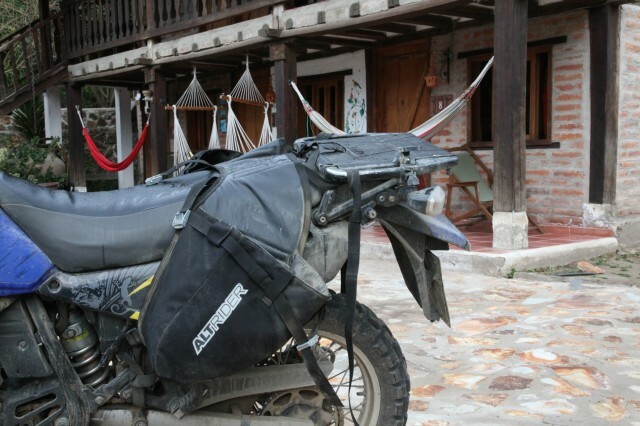 Okay, yes, there were hotel rooms involved, but Ecuador Freedom Bike Rentals really knows how to pair rugged riding to posh digs. One of the things I love about luggage systems like these is how they facilitate fly-and-ride trips. In the last year I’ve flown to my ride destination twice, once internationally. 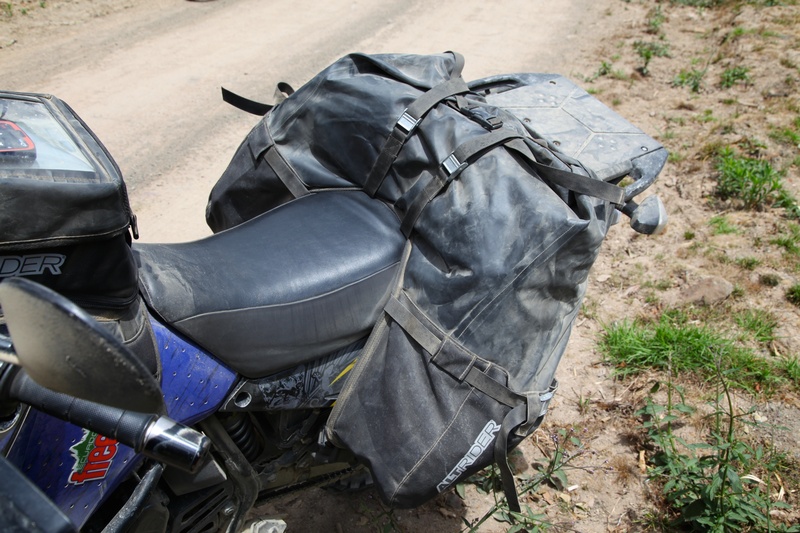 I was amazed how compact the Hemisphere Saddlebags were when folded tightly into my suitcase on route to Ecuador. In retrospect, I could have easily just checked the dry bag as one of my allotted pieces of luggage and called it a day. Try that with hard cases.